Welcome to the Event Horizon… The Teen Summer Reading Kickoff party for all of our branches is going to be out of this world! …Well, technically, it will be hosted on-campus at Missouri Western State University, but it will be super fun and involves free pizza. Sit back, relax, and explore the universe at the Bushman Planetarium in Agenstein Hall—for FREE! The planetarium features a Digistar 4 projection system and a dome for an immersive intergalactic experience. We’ll be serving pizza and other refreshments for teens to enjoy after the show. 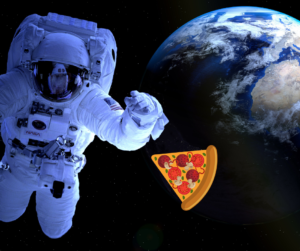 This free event is limited to 45 teens, so RSVP today to join us for a night of pizza and planetary wonder! Come alone or bring a friend, open to teens entering 7th-12th grade, ages 12+. Click here to register and secure your spot on this flight of epic proportions!